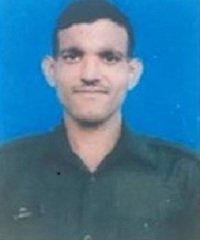 Sepoy Rajendra hailed from Alwar district in Rajasthan. The 25 year old Sepoy Rajendra belonged to 21 Rajput of the famed Rajput Regiment, known for its valiant soldiers and numerous battle honours. 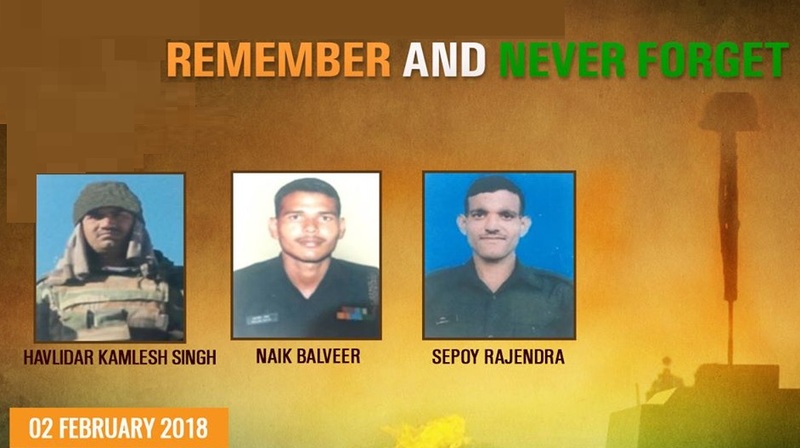 During 2017-18, Sepoy Rajendra’s unit was deployed in Machil Sector in Kupwara district of J & K.
During Jan 2018, there was heavy snow fall in J & K resulting in very hostile weather conditions. The Snow and Avalanche Study Establishment(SASE) had warned of avalanches in higher reaches of the Kashmir valley after a 6.2 magnitude quake had struck Afghanistan on 31 Jan 2018. The SASE had warned of a medium-danger avalanche warning of level-3 in higher reaches of Baramulla district and low danger warning of level-2 in Kupwara, Bandipore, Shopian and Kargil districts. On 02 Feb 2018, a horrific avalanche struck the army post of 21 Rajput at Sona Pandi Gali in Machil at around 4:30 pm. 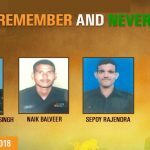 The avalanche was so sudden and severe that Sepoy Rajendra and three of his comrades got swept away and got trapped under tons of snow. A massive rescue operation was launched by the Army and all the four trapped soldiers were evacuated and transferred to 92 Base hospital at Badamibag in Srinagar. However Sepoy Rajendra could not be saved and succumbed to his injuries. Sepoy Rajendra was a valiant and committed soldier who laid down his life in the service of the nation. Salute to you Sir . Jai Hind.